July 30 (WTN) - According to the information received, after the sudden exit of Priyanka Chopra from the film ‘Bharat’, the search for a new lead heroine was intensified. 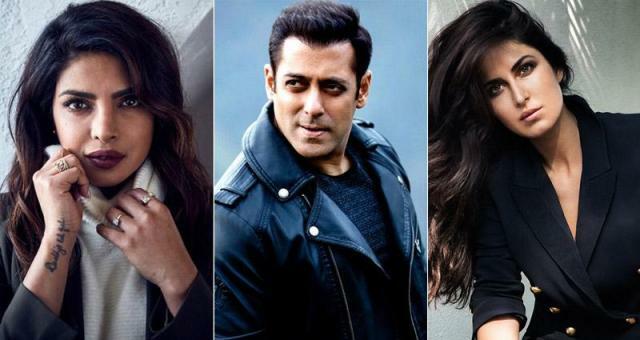 Many names of Bollywood actresses remain in the discussion, but at the end Salman Khan's favorite Katrina Kaif finally signed in place of Priyanka Chopra. This information is revealed by the director ‘Ali Abbas Zafar’ while answering to a question in an interview. Fans could see the Bollywood Jodi of Salman-Katrina again in Bharat after the film 'Tiger Zinda Hai'. Ali Abbas Zafar said, "I am excited to work again with Salman Khan and Katrina Kaif. I really enjoyed their company in their previous films. Katrina has been selected in short notice for this project". Let us tell you, Salman and Priyanka were going to work together almost after a decade in any film, but Priyanka suddenly quit the film due to her personal reason.